When it comes to training, don’t ever escape the basics. Basic exercises, basic nutrition guidelines and the basics of getting results, which boils down to commitment. One unique technique to shock the muscles into growth was popularized in the 70s and 80s by High Intensity Training Leaders such as Mike Mentzer and Arthur Jones. They called this shock method “The Pre-Exhaust Method”. The gist of this method was to perform an isolation exercise first followed by a compound lift. The theory was to fatigue the muscle in an isolation manner and then the compound lift would call into play the support muscles to push the muscle further. 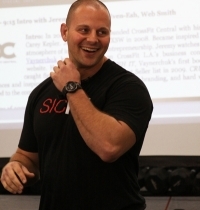 I found that most lifters don’t respond all that impressively unless they are highly advanced lifters. Exercises such as leg extensions, side raises, triceps pushdowns, etc won’t be as powerful as deadlifts, military presses and dips. Here is a variation of the pre exhaust method except you will perform high reps with a movement you would normally perform 2nd or 3rd in a workout and then hit your big lift. You normally squat or deadlift first, when you are fresh. This time around, hit your legs hard with several sets of high rep walking lunges holding dumbbells or a barbell. Your legs will be more fatigued than normal when squats start. 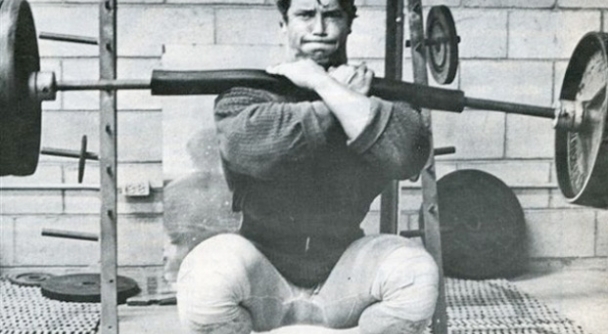 Don’t do a typical squat warm up, instead, do only one medium set and then jump to the heavy stuff. This will shock your legs and force you to work much harder on squats than normal. You normally bench or military press first, just like you’ve been advised to always squat or deadlift first. This time around, perform 50 reps total of bodyweight pushing exercises such as various dips and different push ups. Couple these with various bodyweight pulling exercises such as pull ups, recline rows, etc. Next, just like leg day, hit your big basic lift second, starting with a medium set and then jumping straight to the heavy stuff like benching, military pressing, etc. After a few weeks of shocking your body with high rep work first followed by the big compound lifts, go back and begin with your main lifts first in each workout. You’ll see you’ve gotten stronger and also have trained yourself to push through fatigue, making you mentally tougher. Breaking Through Muscle Building Plateaus, Part I and Part III.